The popularity of bamboo floors continues to rise as more and more homeowners search for greener alternatives to traditional hardwood floors. One of the biggest benefits of bamboo is its ability to regenerate so quickly, and another is the extreme toughness of strand woven bamboo. It’s eco-friendliness is because bamboo is a grass and not a hardwood. The bamboo plant can regenerate in as little as 5 years. Compare that to hardwood trees that can take over 30 years to grow before being harvested. Bamboo is simply some of the best flooring and a logical choice for homeowners who want the warmth and beauty of hardwood but don’t want to add to the destruction of the world’s rainforests. 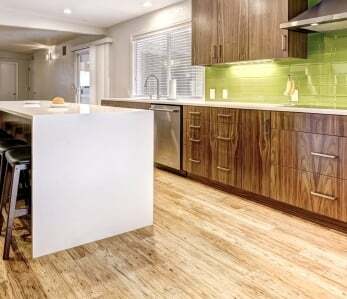 Besides its eco-friendliness, bamboo has many other advantages over other flooring materials. Before the green movement really took off, it was often hard to find eco-friendly building materials. But that has all changed and bamboo is now widely available at big box stores and also . The natural striations in the bamboo stalks give the floors a unique beauty that is attractive in any room. Bamboo is also not a fad, it is a timeless material, so you know your floors will look just as attractive in 15 years as they do the day you install them. One of the most important things to consider when picking a floor is how it will work with your décor. Bamboo flooring comes in a wide range of colors and styles, including handscraped and engineered planks, all with the beautiful marbling effect that is typical of . Aesthetically speaking, bamboo is a very versatile material as it comes in myriad shades and grains. This advantage is twofold: Regardless of your existing room’s furnishing and décor, you are bound to find a shade of bamboo that compliments it beautifully. Secondly, because there is such a large selection of bamboo planks, you can install it in your entire house and have different looks throughout. As highlighted in the Ted Talk above, bamboo is very strong. In fact, bamboo floors are so durable so you can feel good about installing it in any area of your home, even those areas with high traffic. Strand woven bamboo has a Janka hardness rating almost 3 times harder than oak – now that’s durable! Bamboo floors are so strong and durable most manufacturers offer at least a 25 year warranty. 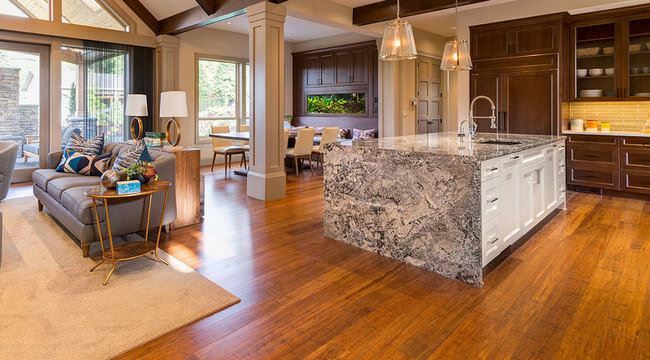 When you’re deciding to put new floors down in your house, particularly if it’s in several rooms, the costs of parts and labor can easily mount up. Compared to traditional hardwood floors, bamboo is very affordable so it’s a great choice for those who want to live green but need to do so on a budget. Typically, you can get premium lengths (long planks) and widths (wide planks) in bamboo flooring shipped. 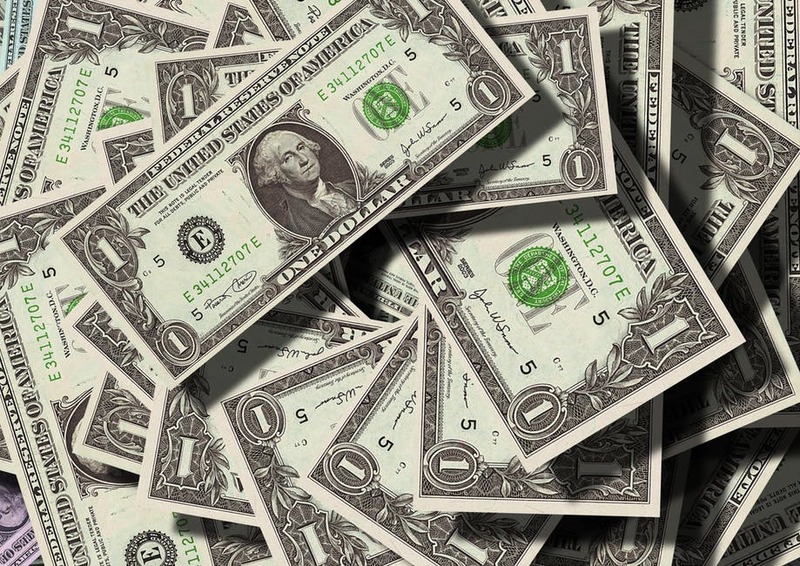 Speaking of being on a budget, you can save money by installing your floors yourself. 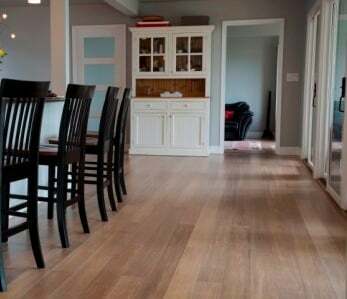 Bamboo is so easy to install, especially using the floating floor method, and most homeowners would be able to install floors in a room of their home over a weekend. All you need to do is follow your manufacturer’s recommended installation procedure and it will be significantly cheaper than hiring someone. As long as you can follow some simple instructions, you’ll do a great job. If you choose to hire an installer, most will charge between $1.75 to $3.00 per square foot for installation, the same as hardwoods. More people than ever are concerned about the future of our planet and want to make greener choices in their day-to-day lives in order to reduce their negative impact on the world. That’s why they’re choosing bamboo flooring. Why is bamboo the green choice? There are so many reasons, but let’s look at just a few. Natural: Bamboo is a grass, an entirely natural material. Gentle Harvest: As bamboo plants are harvested by hand, the farmers can do much to protect the area in a way that wouldn’t be possible using machines, like keeping an eye out for rare plants and animals. Regeneration: Bamboo is able to regenerate itself from the root, so harvesting it won’t destroy the plant, unlike cutting down trees. Soil Stability: When harvesting bamboo, you don’t need to unearth the plant. This means that the soil around it is more stable and less likely to cause soil erosion and other environmental damage. Forest Stewardship Council Approval: Many bamboo floors carry the FSC logo, which means that they have passed tests at every stage to ensure that they are not adding to the destruction of forests, plant and animal life. We all live busy lives; so, when we buy new things for our house, we want them to make our lives easier. Bamboo floors will do that for you. 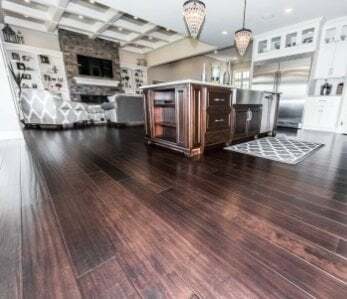 Furthermore, strand woven bamboo doesn’t need to be refinished in a residential setting, because it is so hard, so it won’t show nearly as much wear over time as other floors. Cleaning is easy and similar to hardwood flooring. 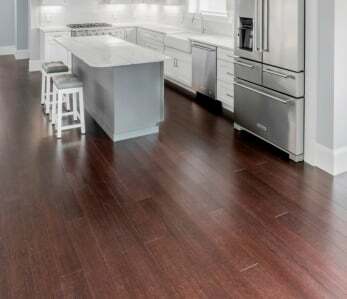 As long as you don’t leave a puddle on your floor for more than 20 hours, spills will not harm your bamboo floors as they would on hardwood floors, which makes bamboo a superior flooring choice for kitchens and powder rooms. 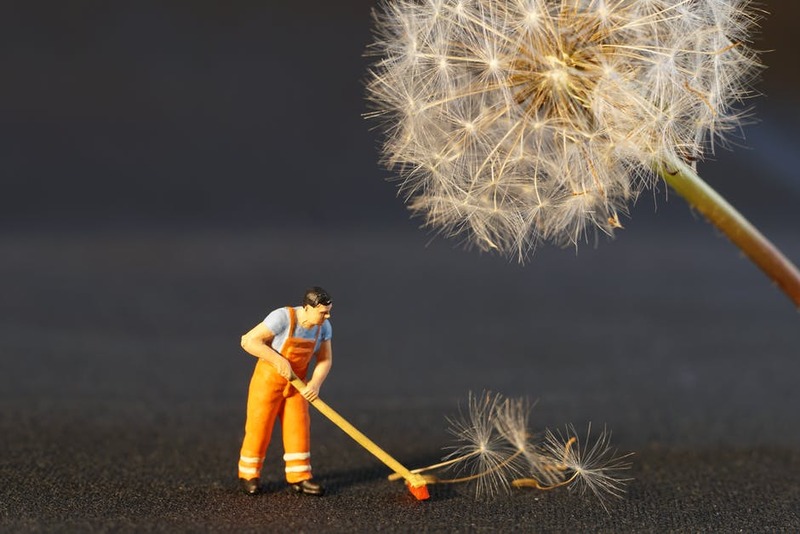 How long does it take you to clean your current floors? Whatever your answer was, it’ll take you the same or less time to clean bamboo floors. Promise. Most of the time, all you’ll have to do to is wipe up spills as you see them and sweep/vacuum the floors on a regular basis. That will be enough to pick up routine dirt, debris, and dust. Bamboo floors are not only easier to clean but are resistant to bug infestations and do not trap allergens like carpet. 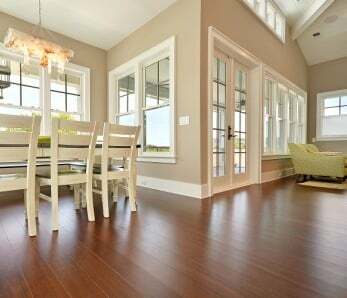 In our opinion, and those of countless others, bamboo flooring is simply the best flooring option on the market today. But don’t take our word for it, find out for yourself.